The US hard drive maker Seagate has released its first 10 TB hard drive on the European market, sometime after HGST did just that. The new hard drive is called Enterprise Capacity 3.5 HDD and carries the ST10000NM0016 code name. The main role of the new Seagate model on the European market is to serve as a cheaper alternative to the helium-filled HGST Ultrastar He10 hard drive model, which sells for EUR 713. The Seagate Enterprise Capacity 3.5 HDD reaches the monstrous capacity of 10 TB by including seven recording platters and here, just like in the case of the Ultrastar He10, the internals of the drive are filled with helium. The platters of the Enterprise Capacity 3.5 HDD spin at 7200 rpm and there’s a 256 MB data buffer as well. The new Seagate drive supports the latest SATA 3.0 hard drive standard but in the near future Seagate will offer the same model with support for SAS 12 Gbit. 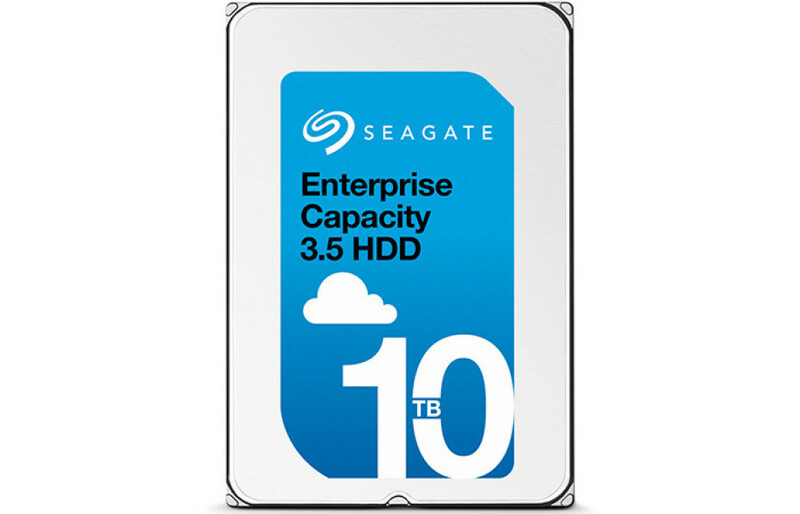 The Enterprise Capacity 3.5 HDD sells now for EUR 576 and comes with a 5-year warranty, which is great news. After all EUR 576 is not pocket change.